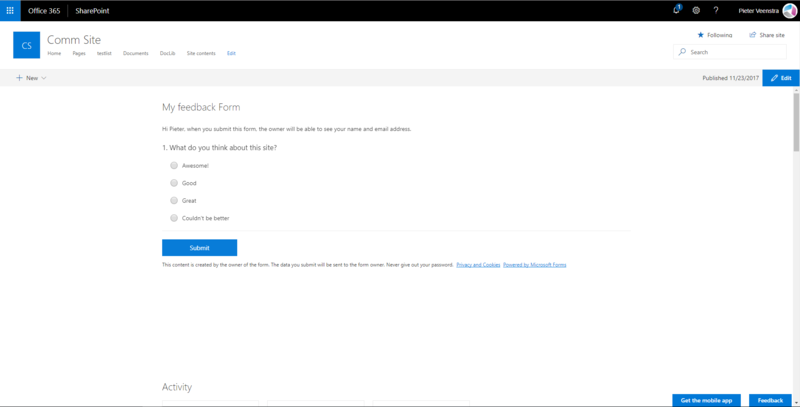 After my last week’s post Feedback is important, but please don’t bother my users, I thought about creating a feedback form within the modern experience of Office 365. I’m going to restrict myself to out of the box functionality. So no development! And I want it quick! Supply a name for your form. 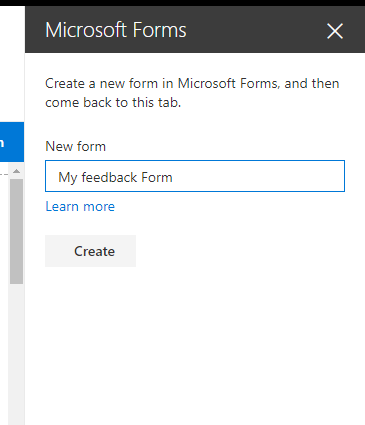 Note that if this form name already exists within Microsoft forms you will get an ugly error. 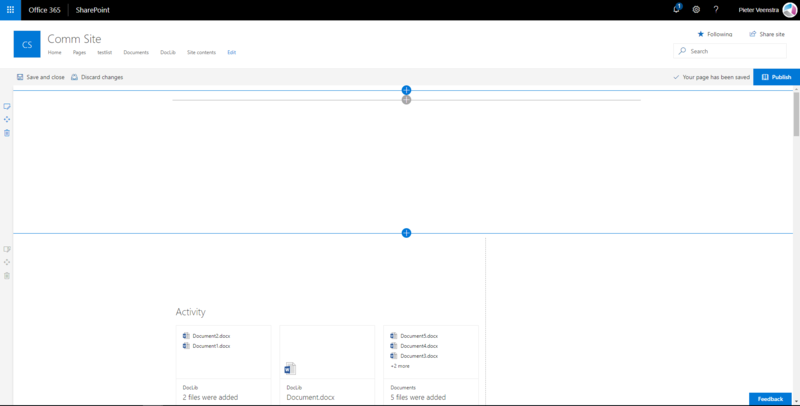 Now that the questions are complete I’m going back to my SharePoint communication site. 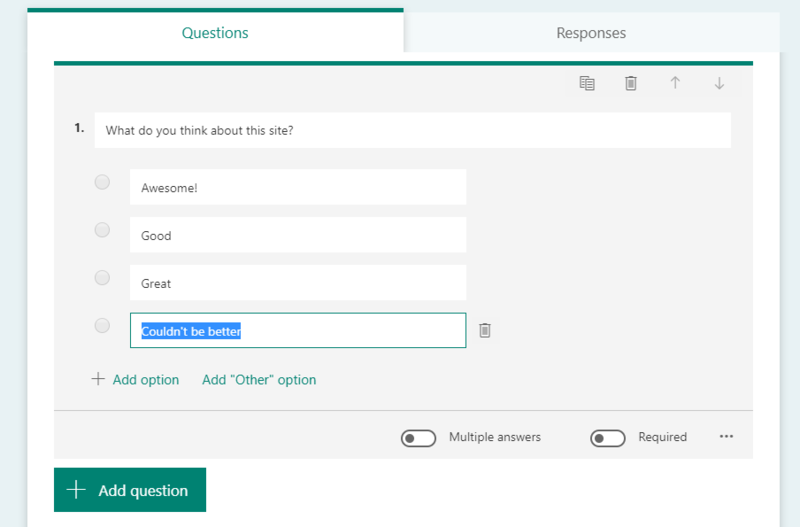 Once the page has been published the feedback form appears, ready for my end user to fill in. 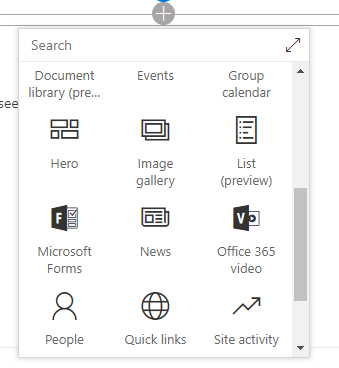 ‹ Office 365 – Updates to team sites, Is Microsoft trying to deliver end solutions or a framework? Not bad for a quickie, but doesn’t support people fields, does not integrate too well into the ecosystem yet. 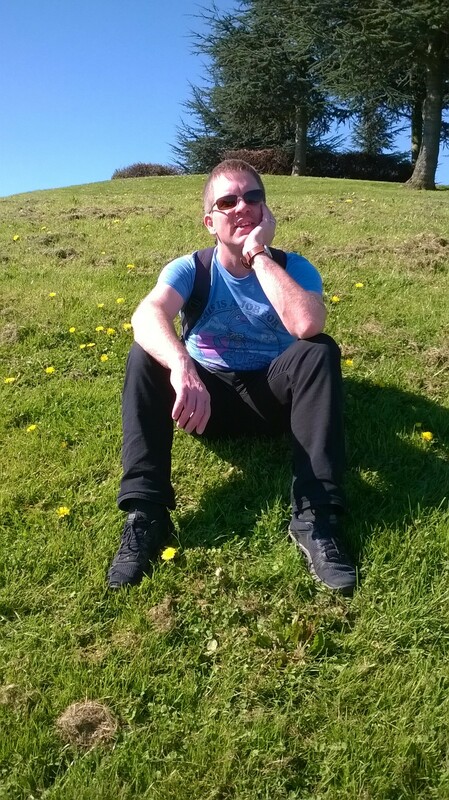 Hi Dimitar, don’t forget that Forms is still in preview only. It can’t do everything, but hopefully this example shows that it is very usable for some things. What a great idea and very well written post! Is there a way to extend this and collect Page URL ? 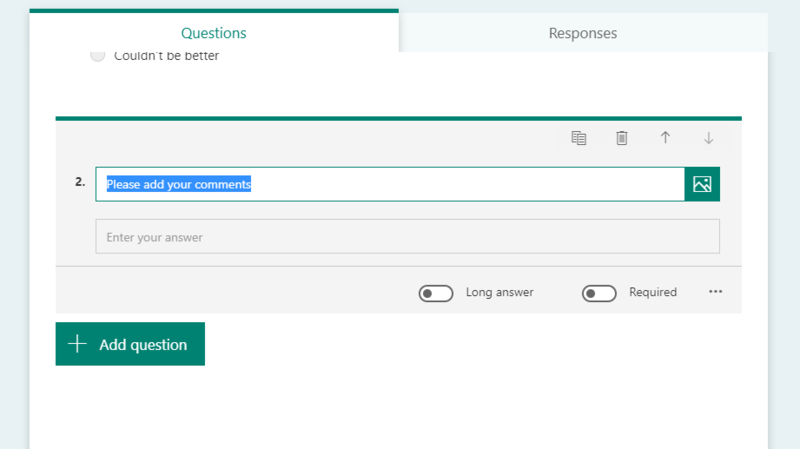 What we want to do is have this on every page to collect feedback. I don’t think that Forms will let you collect the current url. 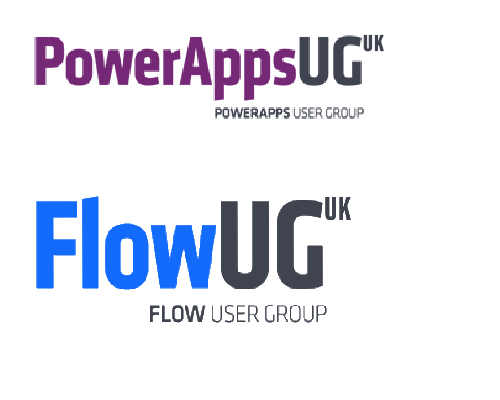 You might need to look at using a PowerApps or SPFx app instead.